Luckyfinds: Anew Rejuvenate Line for me, no compromise! Anew Rejuvenate Line for me, no compromise! I am prone to allergies due to my sensitive skin type. Hence, I really go about selecting the best skin care products that will rejuvenate my skin. I would love to try the ANEW product line from Avon since those manufactured by Avon are the only products I have found that I can wear. As the years take their toll on my skin, learning everything about anti-aging skin care and facial skin rejuvenation has been my obsession. I want skin care that offere anti-aging and anti-wrinkle products that promises to take care of those fine lines and wrinkles, sagging skin, brown spots, plus dark circles under my eyes. 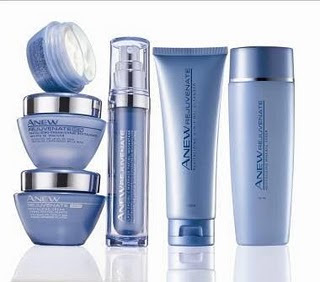 I am confident that Anew Rejuvenate Line can transform my looks in weeks with minimum effort. With a beautiful skin, I'll feel more confident at work and at home.